Dividing a regular pan in two so you can “cook two things at once” isn’t terrible. It’s not my thing, and you can’t toss the pan to redistribute the food, but, fine. Dividing it in three sections would make it even harder to cook your three small piles of different food. 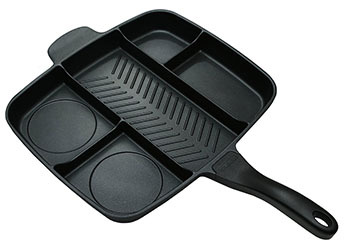 But the “Master Pan”, with five sections, takes the cake. Or, I should say, given their picture of how they think you can use it, it takes the pancake, fried egg, bacon, sausage, scrambled eggs, and potatoes. I don’t even know what this is supposed to mean. I’m not sure The Face Blanket is the best way to keep your head warm. I’m not sure it’s a good way to appeal to the target audience of hunters and campers, either. 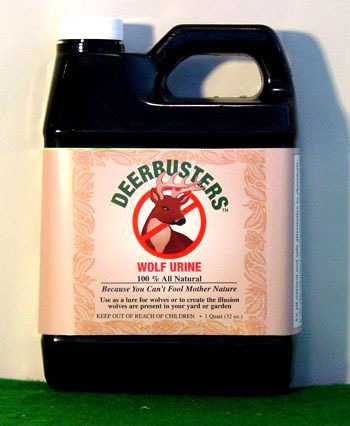 It’s not that wolf urine‘s not useful. It’s used to scare off predators. I’m just thinking about the man or woman who has to go around to the wolves and collect their piss. And, for that matter, the reviewer who claims that he can improve the taste by storing it in a certain way. 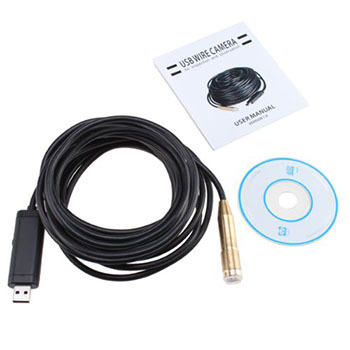 While you could possibly, as someone suggested in the reviews, use this USB camera mounted to a 16-foot gooseneck cable to examine the end of your own digestive system, I don’t recommend it. You might puncture your bowels, or, if you get to the end of the cable, your small intestines. There’s a 45-foot model that might allow you to make the journey and come out the other side, which, again, is not recommended. Of course, you’d probably want to go down the hatch in this theoretical journey through the body, rather than drag the browser history of your digestive-tract up through your mouth. 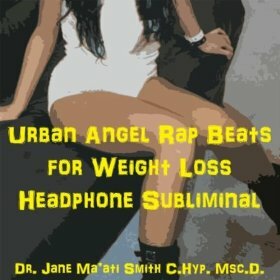 How does an album of “urban angel rap beats” hypnotize you into falling asleep? It doesn’t, I’m guessing, but I’m not willing to listen to 40 minutes of keyboard loops written by someone who’s never listened to rap to find out. Don’t let your wine habit get in the way of your self-branding as a cabin-dwelling countryperson. 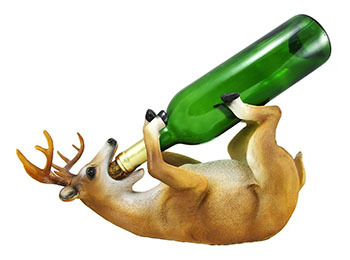 Get the Drunk Deer. Or, for those who hunt bigger game, there’s the similarly-shaped Partay Bear. But after extensive research, I’ve determined that the very best Wine Animal On Its Back is Drunk Cowboy Armadillo.